In 1992, JMT Environmental Technologies opened its doors with the goal of establishing ourselves as a reliable and competent environmental contractor in the eastern Pennsylvania/western New Jersey region. 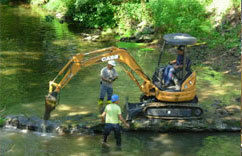 We initially focused on storage tank investigations, removals, installations and other environmental issues. Area companies appreciated our dependability, quality work and commitment to completing their projects in a timely and cost-efficient manner — so much so, that their demand for our services encouraged us to explore related industrial contracting areas and grow our business. 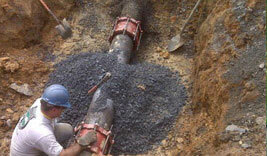 Soon we expanded into pipeline construction, general construction, industrial maintenance, and excavation. 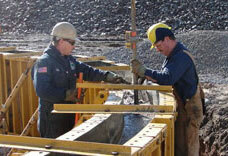 More recently, we’ve added heavy hauling and hydro-excavation to our services. The variety of our service offerings grew by the year … and so did our reputation. Utilizing our own team and keeping projects in-house also allows us to keep costs from escalating by eliminating the need for subcontractors. JMT provides construction professionals, equipment operators, field technicians, and environmental scientists — all of whom possess the education, experience and dedication that make them our company’s greatest resource. Contact us today and let’s discuss how we can help you with your industrial and environmental contracting needs.